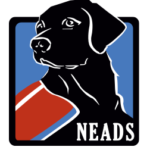 NEADS selects Service Dogs for the Social Dog Program for their special chemistry with children. All NEADS Service Dogs are gentle, tolerant and well trained, but each has its own personality that can be matched with an appropriate child. Some children may benefit from a dog that seeks out attention and elicits play. Other children may require a quiet, somewhat reserved dog to make them feel more comfortable. The type of dog that best suits a child's needs is determined during the interview process. What Does "Task Trained" Mean? The Service Dog will rest his head on the child’s lap. This can calm or interrupt an unwanted behavior. The Service Dog can flip on a light switch, mitigating a child’s fear of the dark. The Service Dog will put its front two paws onto the child’s legs. The My Lap command can be given while the child is seated in a chair, or the dog can come across sideways while they are on the floor, to give the sensation of pressure. The deep pressure can help with sensory integration. The child can use this task to communicate with a parent. Because the Service Dog will only bark on command, the parent knows that when the dog barks, the child needs assistance. How can a Service Dog help a child with autism or other developmental disabilities? Conversational skills - The Service Dog becomes the focal point for socialization and can facilitate conversation in any environment the child is with the dog, from the holiday dinner to shopping at the supermarket.When a well-trained Service Dog is present, people ask predictable questions that have answers a child can memorize. People may ask things like: "What is your dog's name?" "What is the dog’s breed?" "How old is your dog?" These questions are asked frequently and with repetition, so the child can learn rote answers, which can be a bridge to connecting with others. As the child grows more confident, conversations can take place through and about the dog. Eye contact- A Service Dog is trained to make eye contact. When a child is comfortable looking into a dog’s eyes, this can translate into making eye contact with people. Empathy & social cues - Parents can help their child learn to read body language and learn empathy for others by using the dog as a model. By learning to read the dog, the child can learn to read other people, their body language, facial expressions, and social cues. Communications skills - The two-leash system, where a child and parent each hold a leash, allows the parent as facilitator to teach the child to talk to the dog to give it a command. Gross motor skills -Daily exercising, throwing a ball, and playing games with the dog can help with a child’s gross motor development. Regulating emotions – Task work such as “visit” or “lap” provides a tactile way for the child to soothe him or herself. Easing transitions – Transitions are often difficult to navigate for children with autism and other developmental disabilities. A Service Dog can serve as a focal point, for example, when the child first returns home from school or is anticipating a doctor’s visit.NEADS Service Dogs accompany their partner to doctor's appointments, restaurants, sporting events, and other public places and help the child deal with these transitions. For some children, exercising their dog becomes a transitional tool that allows them to more easily move to the next activity. Mitigating fears - Tasks can be used to help a child with his or her fears. For example, the task of turning on a light switch can be used if child has a fear of the dark. Encourage self-care tasks – The Service Dog is a teaching tool. Assigning daily chores such as feeding, brushing and cleaning up after the dog can teach a child responsibility and routine. Assisting with this care can translate into an awareness of and interest in his or her own self-care. Reduce resistance to going to the doctor and other appointments – Parents can use taking the dog to the vet as a model for the child’s visit to a doctor, therapist, dentist or other professional. How is a Service Dog different from a family pet? A Service Dog is not a family pet. The presence of a family pet provides comfort, while a Service Dog provides specific task work to address the symptoms of autism or other developmental disabilities. Task training – Under the Americans with Disabilities Act (ADA), a Service Dog must perform a task specific to a person’s disability. Tasks for a Service Dog for a child with autism or other developmental disabilities can include Visit, Lap, Nudge, and Speak. Public access – The team (parent/child/Service Dog) has public access according to the ADA. This means the team is allowed entry to public places, including restaurants, grocery stores, and other places a family may go. Consistency and reliability - Behavioral training and socialization provides assurance that the dog will behave consistently and reliably at home and in public. Teaching tool – The Service Dog provides a focus for the parent as they build specific skills in the child. A parent or guardian (also known as a facilitator) accompanies the child and dog at all times and is ultimately responsible for the well-being of the dog and the success of the team. ...for you and your child with autism or other developmental disabilities? Our child likes dogs and our family can make the time to integrate a Service Dog into our daily lives. Our child’s behavior can be managed enough so that we can handle a dog at the same time as caring for our child in public. Remember, even a highly trained service dog is looking to you (the adult) for direction and commands. 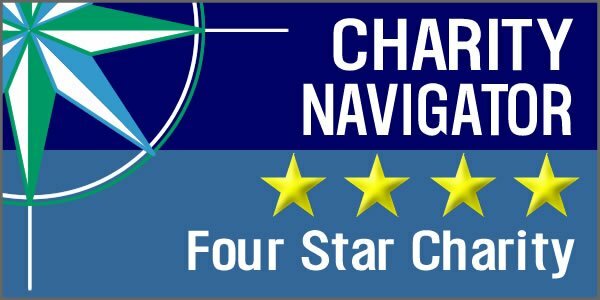 Our family is prepared to maintain the training of a Service Dog and can commit to the long-term expense of caring for a dog for its working and retirement life, which can be up to 12 years. We understand that the Service Dog is a tool that we can use to help our child with autism and is not a family pet (although in all likelihood it will become a cherished member of the family). We recognize that our child and the Service Dog will never be alone in public. NEADS trains with a 2-leash system, which means that the parent and child are always together in public, the child is willing to hold a leash, and the dog does not go to school with the child.